His recovery from a fractured foot, “going according to plan,” Bayern Munich goalkeeper Manuel Neuer said he is confident of returning to action at the start of the 2017/18 campaign. Sprinkle some Bayern stardust on your Official Fantasy Bundesliga team now! The 31-year-old custodian suffered a broken metatarsal during Bayern’s UEFA Champions League quarter-final second leg reverse against Real Madrid on 18 April and was subsequently ruled out for the remainder of the season. 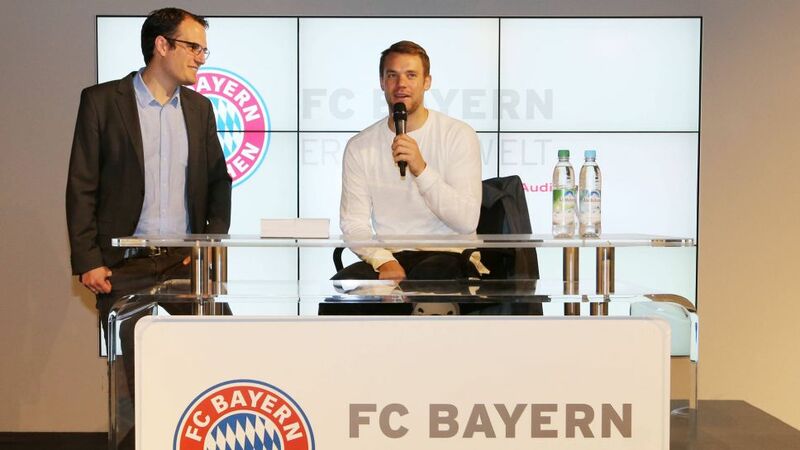 However, speaking at an autograph-signing session at the Allianz Arena on Sunday, Neuer was in good spirits as he targeted a summer recovery and a stronger showing from Bundesliga champions Bayern next season. "So far, everything has been going according to plan, but I'm not expecting to play again this season," Germany’s No.1 explained. “I think I’m going to be on crutches for another two to three weeks and from there we will assess how the [broken] bone has grown back together. I'm beginning to believe that I'll be back at the start of the new campaign," he added. Despite missing the Bavarian giants’ Bundesliga-winning run-in, Neuer remained philosophical about the timing of an injury that, he said, could have arrived at a more inopportune moment in his career. “Suffering this setback at the same time next year would have been worse with the [FIFA] World Cup just around the corner,” the 31-year-old commented. Bayern collected an unprecedented fifth consecutive Bundesliga crown with a 6-0 triumph against Wolfsburg at the end of April, an achievement Neuer says both he and his team-mates, “can feel very proud of.” Yet elimination from DFB Cup by rivals Borussia Dortmund at the semi-final stage and exiting the Champions League at the hands of Real Madrid left Neuer expecting improvements from the German champions. “Of course we would have liked more [in terms of going further in other competitions this term] but it just means we will expect more from ourselves next year when we will be on the attack [for trophies] once again,” he concluded. Vote Neuer into the Bundesliga Team of the Season below!